Our dentists will utilize digital X-Rays to assess dental development, dental health, and predict the need for orthodontic treatment. Early detection of problems with permanent teeth development and space, allows for early orthodontic intervention. 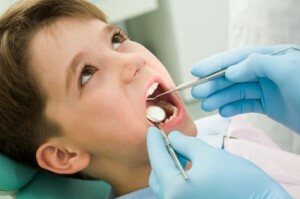 Complex orthodontic problems at a later age are minimized and often prevented. Our dentists will recommend treatment by an orthodontist when needed. Our teeth straightening systems are an alternative to traditional orthodontic treatment and appropriate in many cases.